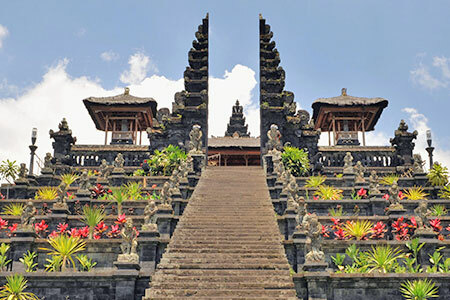 Our 10 Best Things to Do in Bali take you straight to the ‘can’t miss’ cultural treasures and famous landscapes found all around the magical island of Bali. There are innumerable temples, historical sites, and spots of natural beauty spread across eight regencies. Tanah Lot must be the island's most iconic temple in bali. 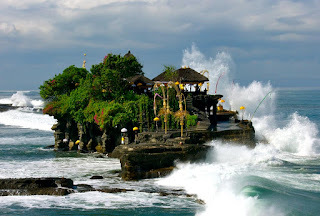 This temple is perched on top of a huge rock, and surrounded by the sea with waves constantly crashing on to its base. 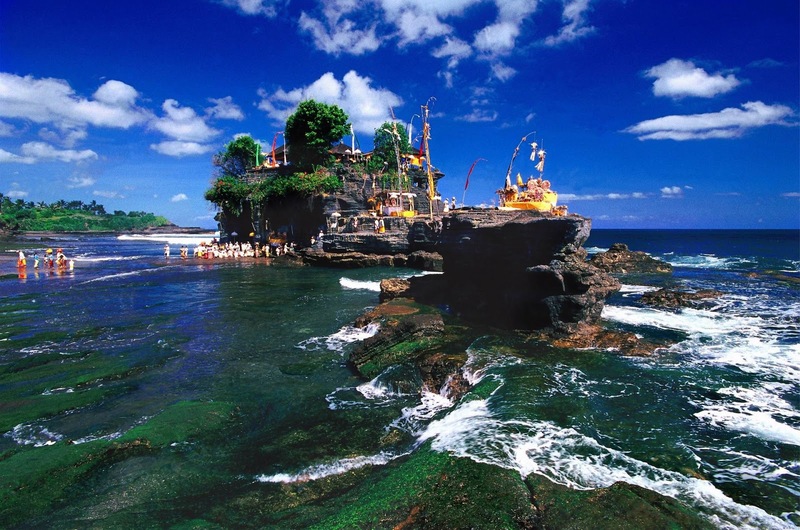 As among Bali's most important sea temples, Tanah Lot pays homage to the guardian spirits of the sea. 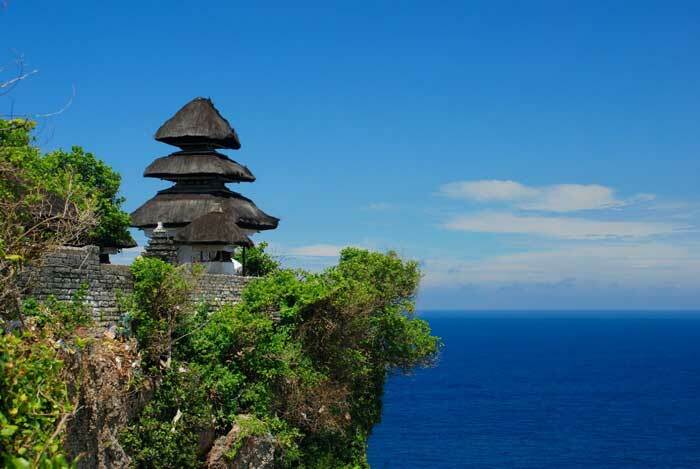 Uluwatu is among the Bali's most important sea temples in bali, perched on a cliff edge in the southwestern Bukit peninsula. Here you can catch dramatic sunsets such as at Tanah Lot, Uluwatu also features an open amphitheatre close by, where sunset kecak fire dances can be enjoyed. 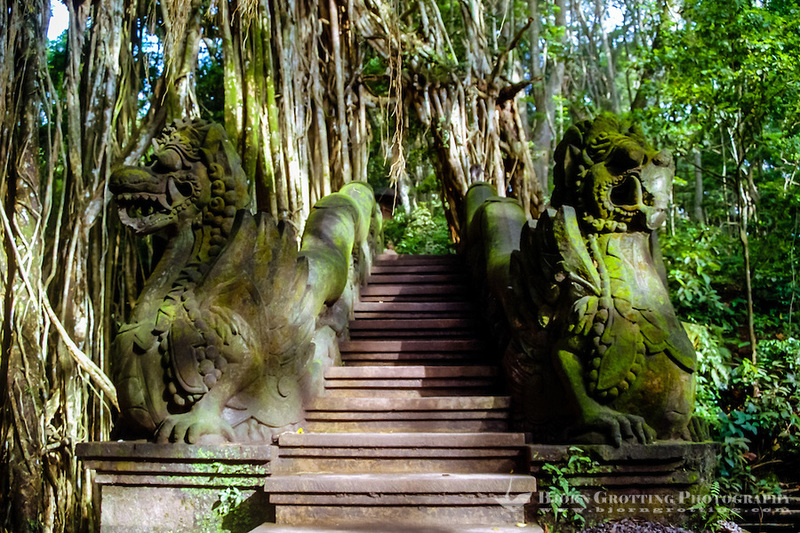 A monkey forest also borders the temple grounds. Besakih Temple, also known as the 'mother temple' in Bali sits on the slopes of Mount Agung, at a lofty 1,000m. Besakih is the largest of all the Balinese temples. 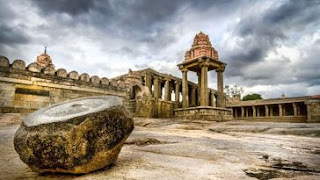 Eighteen separate sanctuaries belonging to different caste groups surround the three main temples dedicated to Shiva, Brahma and Vishnu. 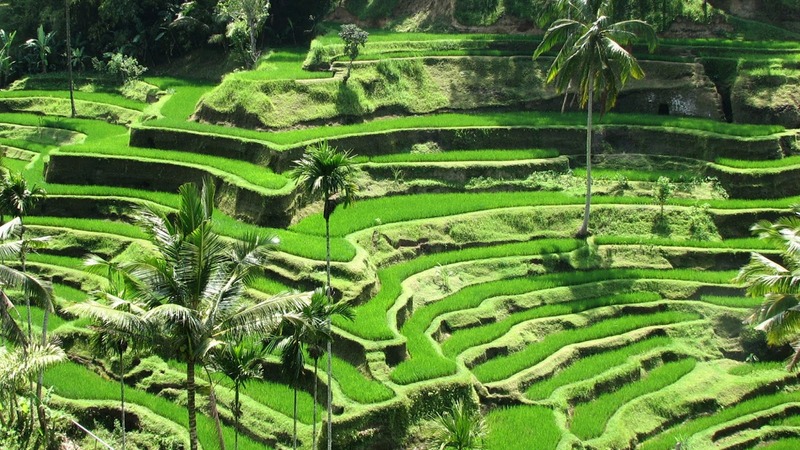 Ubud is famous for its scenic expanses of rice fields in bali. And the paddies with the best vantage point are just up north from the main Ubud centre, along the road of Tegallalang. Here, roadside stalls and art shops offering items and curios of all kinds line the street, as well as small restaurants offering diners great views. 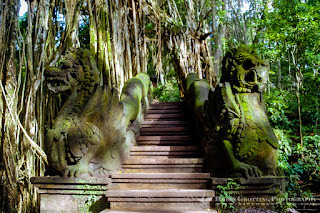 On the fringes of the Ubud main centre, Ubud Monkey Forest is one of Bali’s several grey long-tailed macaque-inhabited forests and perhaps the best known. Also known as the Sacred Monkey Forest of Padangtegal, and by its official designation as Mandala Wisata Wenara Wana, Ubud Monkey Forest is a place of scientific research as well as a site of spiritual and cultural aspects with temples sanctified by the local villagers deep within its grounds. The Ubud Art Market, locally referred to as 'Pasar Seni Ubud' is located opposite the the Puri Saren Royal Ubud Palace and is open daily. 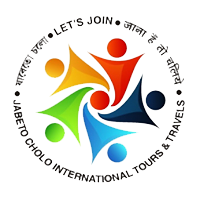 Here you can find beautiful silk scarves, lightweight shirts, handmade woven bags, baskets or hats; statues, kites and many other hand-crafted goods. Kintamani in bali, located in the Karangasem Regency, is home to Mount Batur and the Caldera Lake. A favourite stopover on tour itineraries to this region is Penelokan, which aptly means 'scenic stopover'. 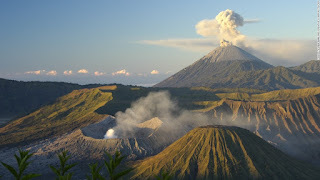 The still-active Mount Batur volcano has erupted about 24 times since 1800, each time reshaping the surrounding landscape. Bali Safari & Marine Park is Bali’s largest animal theme park in bali. The park is home to over 60 species, all roaming freely within their enclosures built to closely mimic their natural habitats. 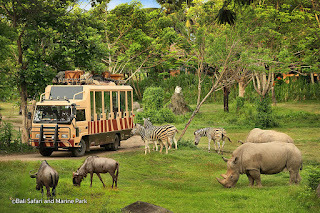 Bus safaris take visitors on tours 'around the world', and animal talent shows are held regularly. Aquariums holding exotic fish specimens are nearby. 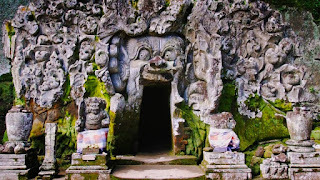 Goa Gajah ‘Elephant Cave’ is an archaeological site of significant historical value that makes it a special place to visit. 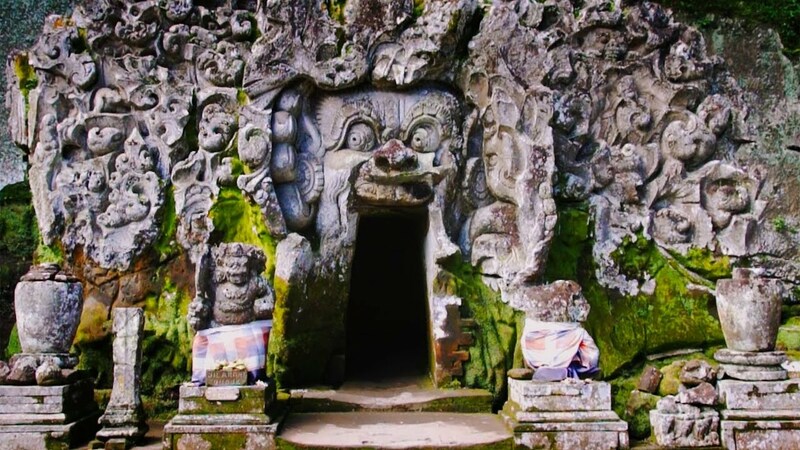 Located on the cool western edge of Bedulu Village, six kilometres out of central Ubud, you do not need more than an hour to descend to its relic-filled courtyard and view the rock-wall carvings, a central meditational cave, bathing pools and fountains.